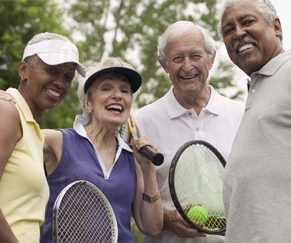 There is a reason so many of Calgary’s top junior tennis players string with us. We offer a graduated junior stringing program that saves parents money while protecting the health of their children’s developing joints and muscles. 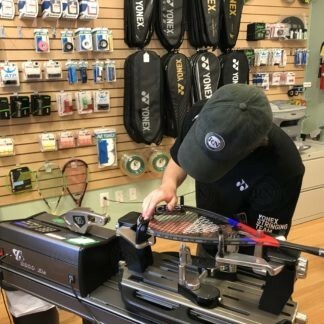 We offer more off-the-reel string options that are suitable for junior players than anybody else. 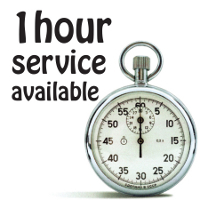 Every job comes with a two-week warranty and guaranteed turnaround of three days or less. Video of every racquet we string is posted on our YouTube channel so that you can see for yourself how the work was done. And on top of all that, we keep permanent records so that we can help our players track how long each string lasts. 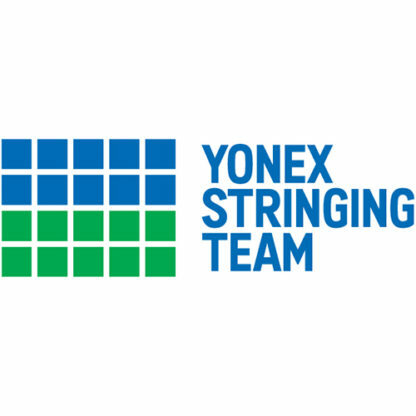 This online option is for parents of competitive junior tennis players (under 14) who restring with us frequently and who want to pre-order so that they get in and out of the store quickly. 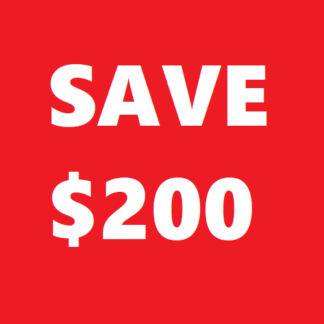 All of these options come with guaranteed three-day turnaround and consist of string chosen from our extensive list off-the-reel options suitable for junior tennis players. Level 1 is the lowest level and the softest string. 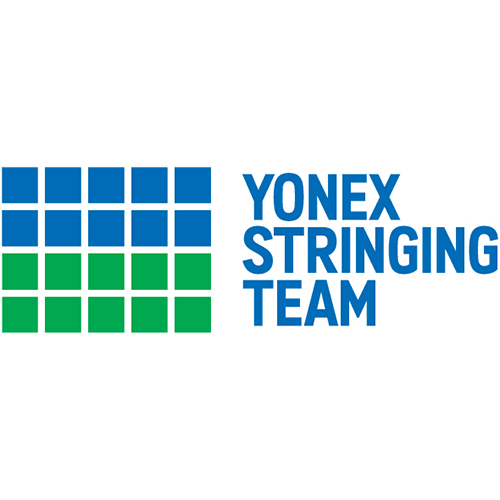 Level 10 is the highest level with the stiffest string recommended for players 10 and under. 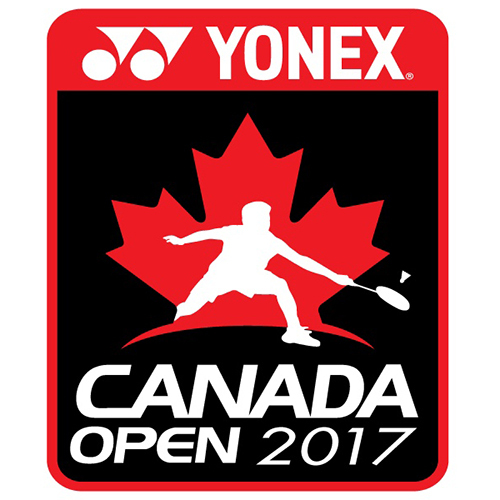 Levels 11-15 are for provincially ranked 11-14-year olds. Typically, Level 1 is suitable for young players who are just getting started with competitive tennis while Levels 6-10 are for developing players who are starting to hit harder. Levels 11-15 are for 11-14 year olds who are ranked provincially or nationally. However, these levels are just guidelines. 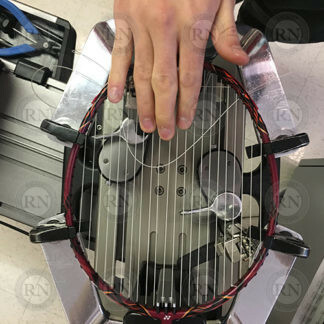 If your junior athlete is breaking strings in less than two weeks at their current level, move up one level. Keep moving up until you find a level where the strings last more than two weeks. REMEMBER – The more they play, the stronger athletes get. 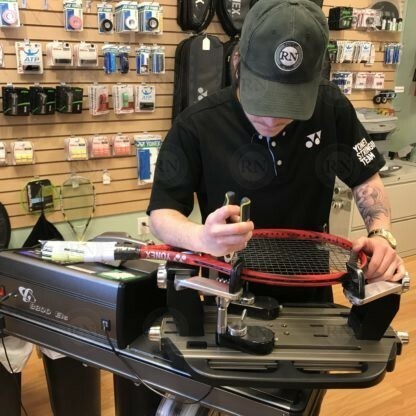 So if your athlete is breaking strings more often than they were a few months ago, it may be a sign that they are improving and hitting harder. Our level systems helps parents and athletes find the right string combination for their current level. It also gives players who are improving an idea of where to go next.